On May 17, 2017 let us take a look at the one of the “longest words in the dictionary”: “patience.” Although it has only eight letters, this enduring virtue has a familiar synonym “longsuffering.” In teaching children a Scripture Memory Song of the fruit of the spirit in the King James Version, the first syllable of “l-o-n-n-n-n-g-g-g-g-g-g-suffering” was sung strongly for several seconds in an exaggerated way to emphasize the meaning of the term. In looking at patience in the Bible, we can learn much about this essential component of life. Associated with waiting on the Lord is the character trait of patience or endurance or perseverance, steadfastly bearing up under and remaining faithful while waiting. 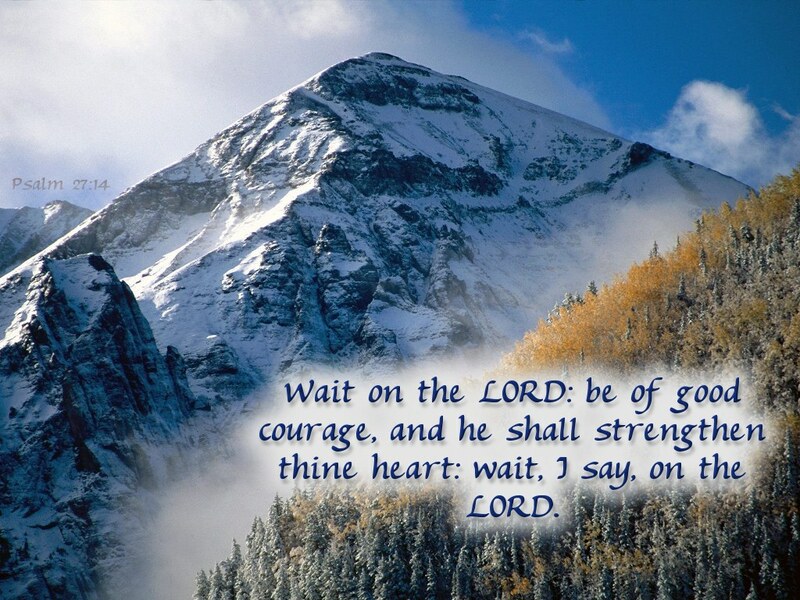 Patience or perseverance is a fruit of the spirit that should be evident in our lives, as we wait on the Lord. When we examine one of the words for “patience”- hupomone, we see a compound word derived from hupo, meaning under and meno, meaning “to stay, remain, abide”, literally “abiding under.” The verb hupomeno means to stay under (behind), i.e. remain; figuratively, to undergo, i.e. bear (trials), have fortitude, to persevere — abide, endure, (take) patient(-ly), suffer, tarry behind. Never give up! Keep your chin up! The strength you need to give it one more try. Never give up Keep your chin up! You’ve got to go “through” to get to the prize. So never give up! Keep your chin up! In reality when we respond to God in faith, we find that “without faith it is impossible to please God. For he that comes to God must believe that He is and that He is a rewarder of those who diligently seek Him.” Indeed, we see that the Lord is “merciful and gracious, slow to anger, and abounding in mercy.” Verse 11 of Psalm 103 also states, “Foras the heavens are high above the earth, so great is His mercy toward those who fear Him;” Not only is patience its own reward, but God also honors and rewards patience, as we patiently wait on Him. Gracious God, our Heavenly Father, our hearts continue to overflow with gratitude to you for all that you have done for us. For your love that continues to sustain us, we praise you. We ask that you would continue to lead, guide, and direct our steps. May you order our steps in your Word, as you continue to open the eyes of our understanding, as we read and strive to apply the principles of the Word of Life to our lives each day. May patience be our portion, as we wait on the Lord. In the name of Jesus Christ, our risen Lord and Savior, and soon-coming King, we pray. Amen. Associated with waiting on the Lord is the character trait of patience or endurance or perseverance, steadfastly bearing up under and remaining faithful while waiting. 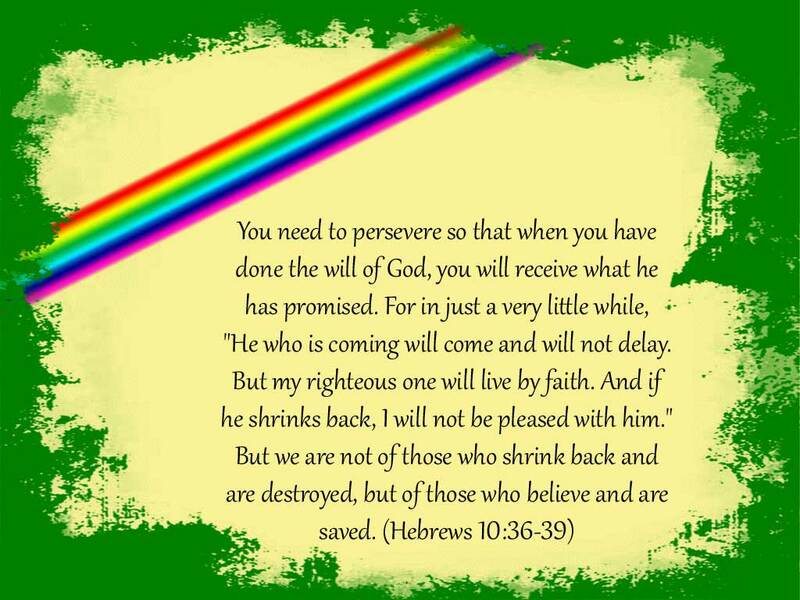 Patience or perseverance is a fruit of the spirit that should be evident in our lives, as we wait on the Lord. When we examine one of the words for “patience”- hupomone, we see a compound word derived from hupo, meaning under and meno, meaning “to stay, remain, abide”, literally abiding under. The verb hupomeno means to stay under (behind), i.e. remain; figuratively, to undergo, i.e. bear (trials), have fortitude, to persevere — abide, endure, (take) patient(-ly), suffer, tarry behind. This artistic rendering of Job and his friends and his wife is done by William Blake. Not only is patience its own reward, but God also honors and rewards patience, as we patiently wait on Him.